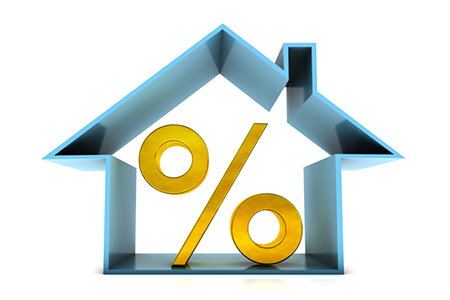 (TNS)—Not knowing your mortgage rate can be an expensive mistake, especially in this rising interest rate market. Yet nearly three in 10 mortgage holders (29 percent) either didn’t know their mortgage rate or wouldn’t say, according to a survey by Bankrate. This is a big problem, says Martin Choy, operations manager at Westwood Mortgage in Seattle. “Most homeowners should know what their rate is. If they have an adjustable rate mortgage [ARM], then they should contact their lender immediately and get their current rate,” Choy says. As rates continue to rise, this could be your last chance for many years to lock in a lower rate. “During the big boom, before this last election, we could refinance mortgages at no cost because the rates were so low, but now the rates are heading up,” Choy says. The average rates on 30-, 15- and 10-year fixed refinances have risen from a year ago, according to Bankrate’s weekly survey of large lenders. The benchmark 30-year fixed-rate mortgage rose to 4.70 percent (as of July 11, 2018) from 4.13 percent a year earlier. A $200,000 mortgage with a 4.70 percent interest rate costs $119 a month more in interest than the same mortgage with a 4.13 percent rate. As rates and mortgage amounts go up, the impact on your bottom line increases. Over time, this difference in rates can cost you thousands of dollars. When you refinance your mortgage, you pay off the remaining balance on your current loan and get a new one. You can get a new rate, new terms, or a new rate and new terms. You can get a cash-out refinance where you tap into the equity to extract cash and then get a new mortgage. You can even pay money in and take out a smaller mortgage. Those with adjustable-rate mortgages may be good candidates for refinancing. As mortgage rates climb, so will your monthly payments. If you lock in a fixed-rate mortgage now, you may be able to save thousands of dollars later. The same is true for people with high-rate mortgages who have since improved their credit. Today, most people aren’t getting ARMs because the rates are about the same as fixed-rate mortgages, says Choy. If you have outstanding higher-rate consumer debt and an above-market mortgage interest rate, a cash-out refinance might be a good option. That way you can consolidate all the debt into one presumably more affordable monthly payment. Not only are mortgage rates rising; so are interest rates for credit card debt. Because credit card interest rates follow in lockstep with mortgage rates, people with credit card debt might be looking at higher monthly payments. “With a cash-out refi, you can use that money to pay off debt and get a new mortgage with better rates. That is an option for some homeowners,” says Choy. Refinancing fees vary by lender and state, so be sure to shop around for specific costs. Bankrate’s mortgage rate tables are a good place to start looking at rates in your area. Calculate when you’ll break even on the new mortgage by taking into account the costs of refinancing and any prepayment penalty for paying off your mortgage early. Application fee: This charge varies by lender and is used to cover processing your application and credit report. The cost ranges from $75-$300. Loan origination fee: The lender charges this fee for preparing your loan. This may be between 0 percent and 1.5 percent of the loan principal. Points: You might pay loan-discount points, which is a one-time fee for reducing the interest rate on your loan. Each point is equal to 1 percent of the amount of your mortgage. There is another point-based fee charged by lenders to earn money on the loan. This latter fee of up to 3 percent of the loan principal can sometimes be negotiated. Sometimes these fees can be rolled into your new mortgage, or the lender will pay them in exchange for a higher interest rate. Refinances that don’t require borrowers to pay these up-front fees are known as “no-cost” refinancing.